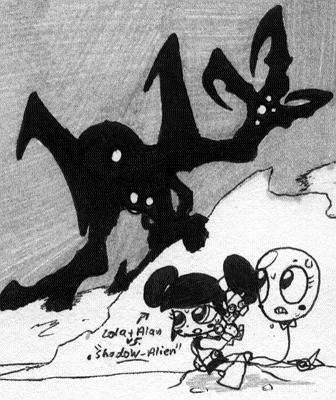 Here's a picture of Lola (from Robotboy) and Alan (from The Amazing World of Gumball) confronting a "Shadow-Alien" (a living shadow-like being), but are they tracking it or is it tracking them? You'll be the judge. Lola & Alan (c)their owners.